Oklahoma requires each retail food establishment to have a person-in-charge, an owner, or manager of a food establishment be a Certified Food Manager (CFM) as outlined in the FDA Food Code by successfully passing an accredited ANSI food safety certification exam. Tulsa County and Oklahoma City have Food Manager Certification requirements. Altus, Lawton, Moore, Norman, Tulsa, and other municipalities have Food Handler requirements. As of November 1, 2007, House Bill 1804 went into effect stating that anyone attending a food handler class or applying for a manager’s certificate from the Tulsa Health Department must sign a statement that they are either (1) a United States citizen, or (2) a qualified alien under the federal Immigration & Nationality Act and are lawfully present in the United States. Food Managers: To receive a Manager’s Certification, you must successfully complete a training program. After completing a training program, you must register your manager certificate with the Tulsa Health Department (THD). Food Handlers: All area food service employees must have an original, valid food handler permit from the THD in their possession while at work. To receive a permit, you must successfully complete a THD Food Handler Class or other approved training. Food Handler Permits are non-transferable. The fee for the permit is $10.00, cash only. Upon passing the test, you will receive a photo-identification Food Handler Permit. Food Handler Permits must be available at all times while the employee is working. The Health Department inspector will not accept a photocopy. Additional duplicate permits are available for a fee of $5.00. Food Service Operator Certification is required in the municipalities of Oklahoma City, Edmond, Midwest City, Warr Acres, Spencer, The Village, Nichols Hills, Harrah and Del City. This Certification is a manager’s level certification. 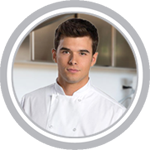 Each food service establishment is required to have at least one certified Food Service Operator. A. It is unlawful for any person who operates a food service establishment or any place selling open and prepared foods in the city to hire, or permit to be hired, or permit to work gratis, any person who does not possess a current and unrevoked permit approved by the health officer. B. It is unlawful for any person to work in any food service establishment or any place selling open and prepared foods in the city who does not have in his or her possession a current and unrevoked permit approved by the county. A food handler’s permit is required and is valid for two years. A permit is required of anyone working in a commercial food establishment. For more information, call 405-292-9770. We offer online Food Safety Training in Oklahoma for: Oklahoma City, Tulsa, Norman, Broken Arrow, Lawton, Edmond, Moore, Midwest City, Enid, Stillwater, Muskogee, Bartlesville, Owasso, Shawnee, Ponca City, Ardmore, Boise City, and many more! Getting your Oklahoma Food Manager Certification couldn’t be easier!